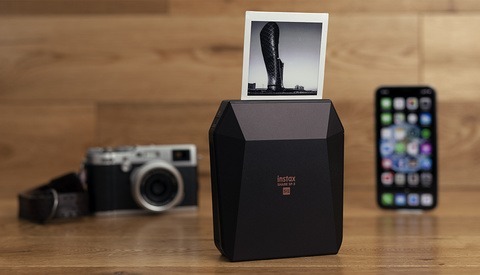 A little over a year ago, Fujifilm released their first ever square format Instax camera, the Instax SQ10. This camera used a 1/4" digital sensor to take the image and then used that file to print on the square film. This year, Fujifilm released their latest update to this camera, the Instax SQ20. 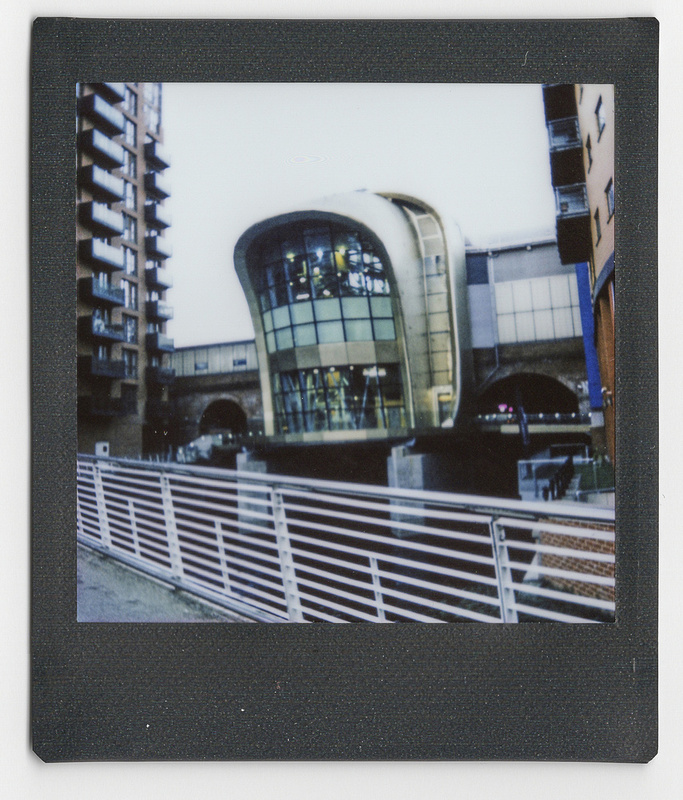 In a previous article, I discussed how much I enjoy shooting with Instax cameras, especially the current Instax SQ6. I absolutely love the SQ6 for its simple design, relatively large film format, image quality, and ease of use. The SQ20 did, however, catch my attention at Photokina, and I wanted to know how it stacks up. As with all previous Instax cameras, the SQ20 is made mostly out of plastic. This isn't necessarily a bad thing, as it helps to keep the price of the actual camera relatively low. 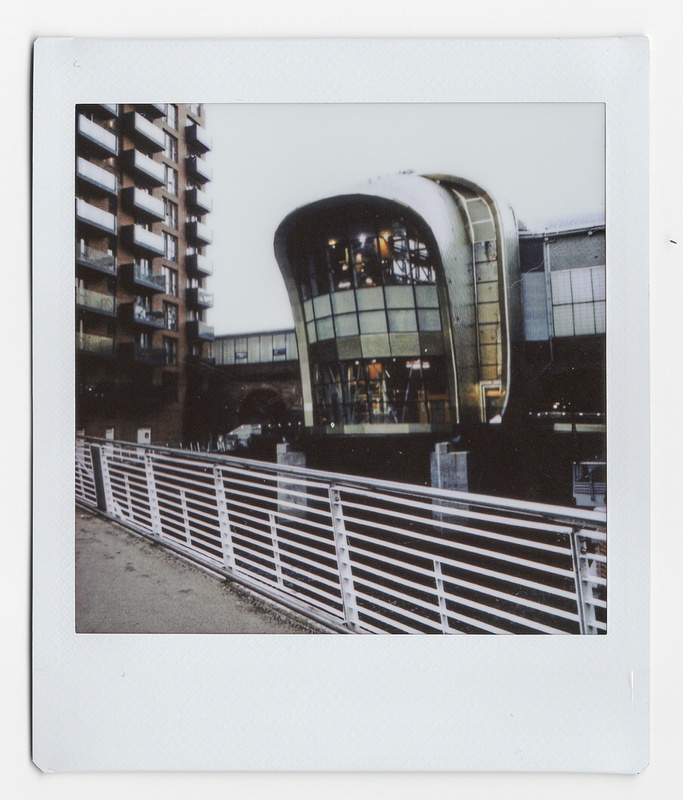 Instax cameras aren't known for having premium build quality or design; they're more of a fun camera. In keeping with that, the SQ20 is once again built in a similar way, although it does have a good weight to it. In the hand, the SQ20 feels much better and it is far more comfortable to hold. 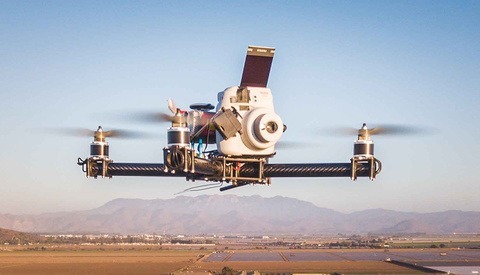 This is mostly due to the circular recessed section around the lens and the protruding wing tips on the back of the camera that act as thumb rests. Compared to the very box type design of the SQ6, the rounded shape and ergonomics make the SQ20 far more comfortable and easier to handle. The problem I've found in regular use is the locations of where the shutter buttons have been placed. They sit exactly where my fingers would rest, meaning that on several occasions, I've accidentally taken a picture. 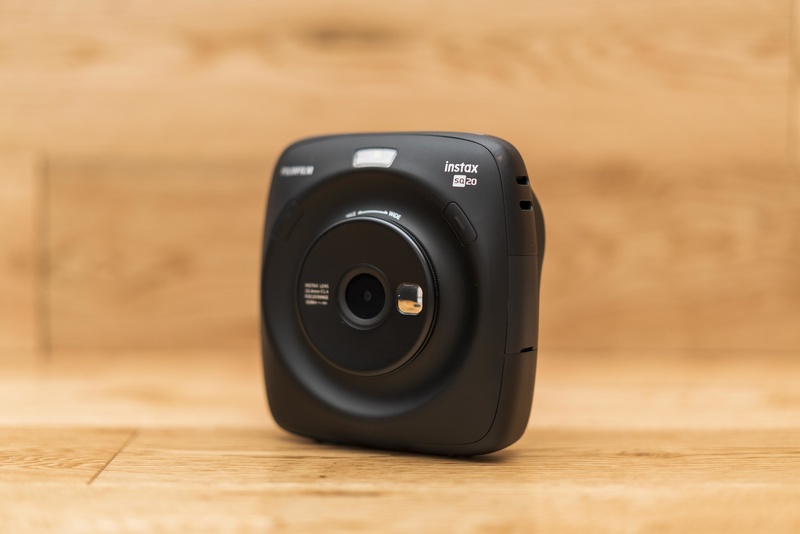 Now, this wouldn't be a major problem with most cameras; however, this is a problem with Instax cameras, because there's a risk of an accidental print occurring. 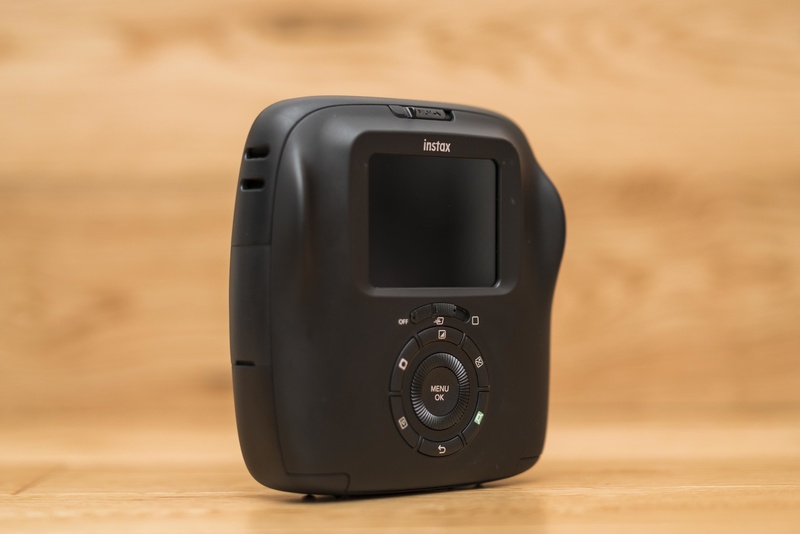 Instax film isn't exactly cheap and if you have the camera set to automatically print, then you will have wasted a sheet a film. Fortunately, the camera is set by default to not print automatically, and I recommend that you do not change this setting in the camera. 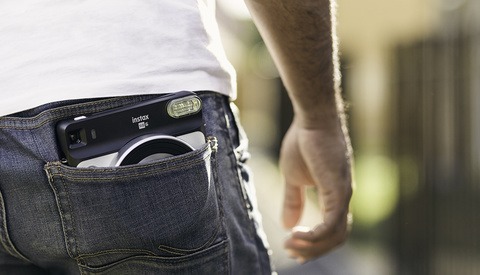 Most Instax cameras are film cameras that offer an optical viewfinder. This can make composing your shot and getting the exposure correct before you press the shutter button a little tricky. The great thing about the SQ20 is being able to ensure your composition and exposure settings are relatively correct before you press the shutter button. This is on the screen on the back of the camera. The camera itself doesn't really have a viewfinder and all operations are managed through the screen. Personally, I would have preferred a proper viewfinder, although that's more of a personal preference. In any case, shooting with this camera is actually much easier than the SQ6. I'm not concerned about getting the shot wrong as much as I am with the SQ6, which frees me up to just enjoy taking pictures. The issue, however, is the fact that the screen on the back of the camera isn't that great; it's one of the worst screens I've used in a very long time. The screen isn't great at demonstrating what the final print will look like. It's good to have, but a better quality screen would have been far more useful. The screen looks muddy and unclear. It actually saps some of the fun out of shooting with this camera. Battery life in this camera is actually pretty good; I've been shooting on and off with this cameras for a good few days with just one charge. During this time, I've printed almost 20 images, and the battery is still at half. I am concerned about the fact that this camera uses an internal battery, meaning that if the battery fails, the camera does too. I'd say there are pros and cons to having an internal battery, so it comes down to how you see it. Regardless, the battery life is very good. My favorite feature of this camera is the fact that it has internal memory and allows you to expand that by adding a micro SD card. I really can't express how great of a feature this is. With the SQ20, I can shoot as much as I want without needing any film in the camera. Once I'm ready to print, I can go through the images and only print the ones I want. The SQ20 offers a great deal of flexibility, and for that singular reason, I think this is a fantastic camera. Finally, the camera also allows you to perform some minor edits to your images. These are not going to be any significant changes because the files are compressed JPEGs. For the most part, you can somewhat adjust the exposure and apply filters to the files. This is a tough one, because although I understand these cameras aren't about how good the image quality is, I still think it's important to discuss it. To ensure I'm being fair to the SQ20, I'll only compare it to another Instax camera, the SQ6. First thing I noticed when looking at the specifications of this camera is that Fujifilm decided on using a much smaller sensor compared to the SQ10. The resolution is the same as the SQ10, meaning that pixels are smaller, and honestly, image quality isn't a great feature of this camera. Compared to the SQ6, which is a true medium format film camera, the SQ20 suffers quite badly in high contrast situations. 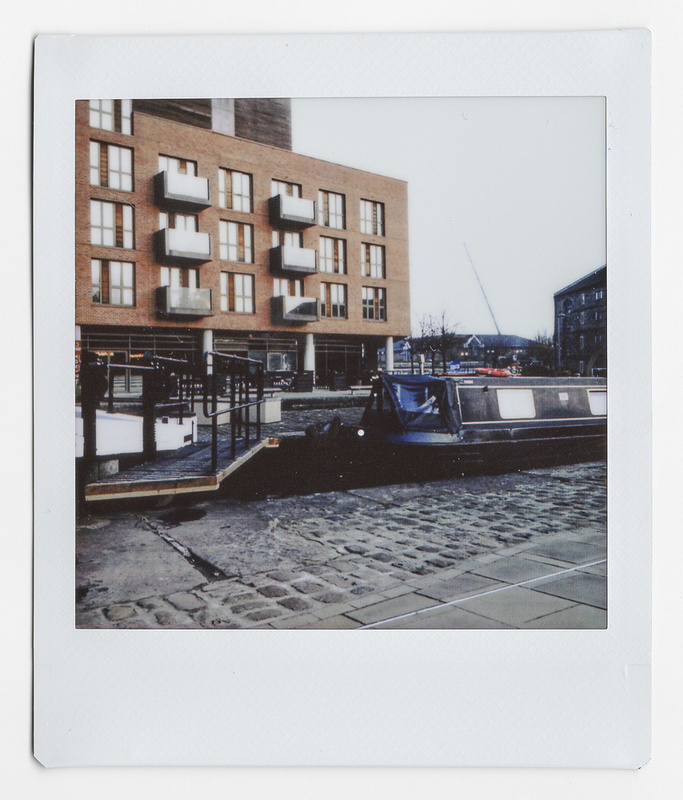 Instax film isn't really known for having amazing dynamic range; however, the SQ20 is noticeably worse once images are printed. Images shot with the black frame are from the SQ6 and images with the white frame are from the digital camera the SQ20. For some reason, the SQ20 always seemed to want to expose a little darker when in auto. Colors were another area where the SQ20 suffered a little. You'll be able to see the differences quite clearly when looking at the skin tones and the grass behind Darleen. The SQ20 does produce images that look sharper, but this is also because an aggressive amount of sharpening is being added to the files. In all fairness, I don't think this is a bad thing, because it works for the final print and the SQ6 looks a little soft. Once again, you'll be able to see how the files from the SQ20 have noticeably less dynamic range with much of the detail in the shadows being lost. The image quality also looks a little "crushed" and overall a little less pleasing to look at. The SQ6 produces images that are far more natural looking, and even though they're less sharp, they look more pleasant to me. Ultimately, I still prefer images from the SQ6, although the SQ20 offers far more flexibility. Individually, this is actually a great camera. Sure, image quality could be better; however, the flexibility and fun of shooting with this camera make it a fantastic option. The issue is that Fujifilm offers other Instax cameras and printers that I think could be better options. 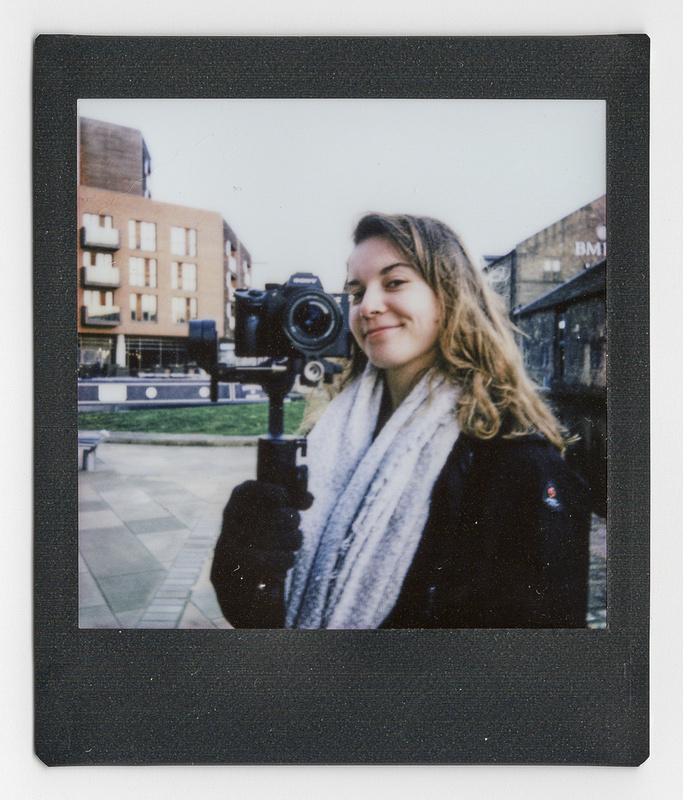 The SQ6 offers proper film quality, and I absolutely love it. Sure, it doesn't have the same flexibility, but I like that fact, because each image has more value in my mind. 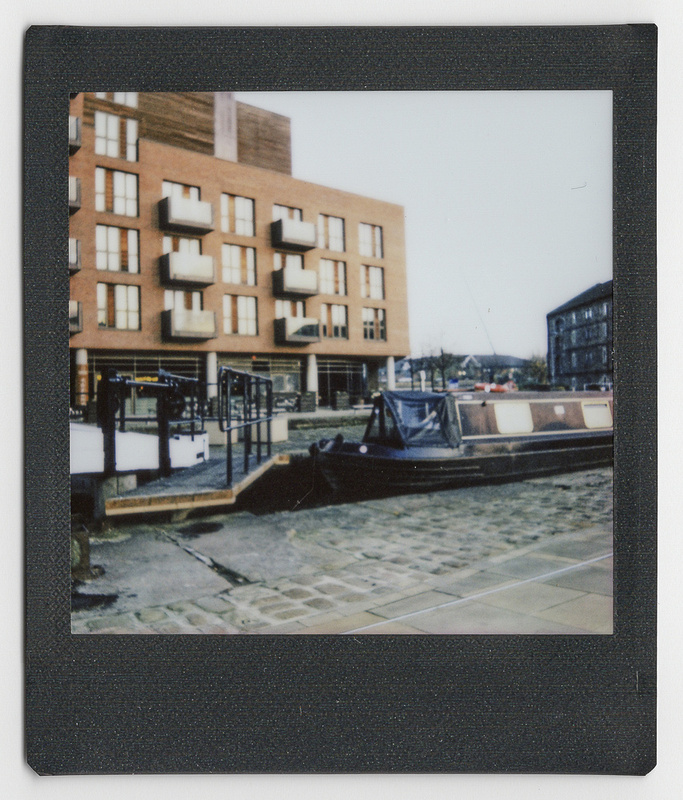 The best alternative to the SQ20 is the Instax SP-3. This printer offers the same kind of flexibility, but can produce significantly better images. The SP-3 allows you to print from essentially any camera, and when you pair it with another Fuji camera like the Fujifilm X100F, you have the perfect combination. You retain all of the flexibility but can produce images with far better image quality. Even images from your smartphone are going to be significantly better than what the SQ20 can produce. Each image you print with the SP-3 can look better, and for that reason, I don't think I can recommend the SQ20. Internal memory, this is such a useful thing to have. The ability to perform edits to files before you print. A heck of a lot of fun. Better ergonomics than several other Instax cameras. Image quality could be better. Better alternatives are available from Fujifilm. It's a great time to be in the market for a good Instax camera because there are so many great options available. Personally, for me, the SQ6 is still by far my favorite, although having said that, I can see the appeal of the SQ20. 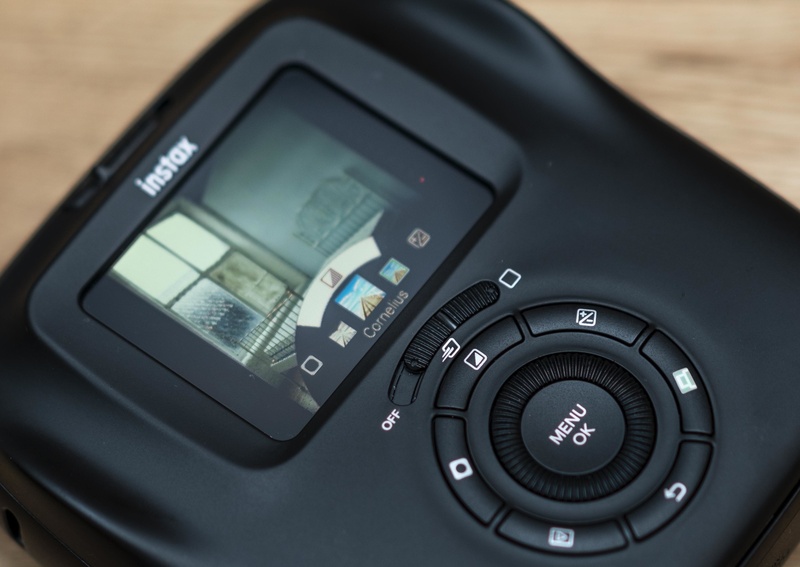 This camera allows you to shoot and print all internally without needing to transfer anything, which I can imagine is very useful for many people. Unfortunately, I still think printers like SP-3 are a better option if you want to print digital files to Instax film. Not only is the SP-3 cheaper, but you have the potential for better image quality fromm the SP-3 than you do from the SQ20. Even still, as discussed above, it is still a great camera and I'm certain there are people out there that would be very happy with it. 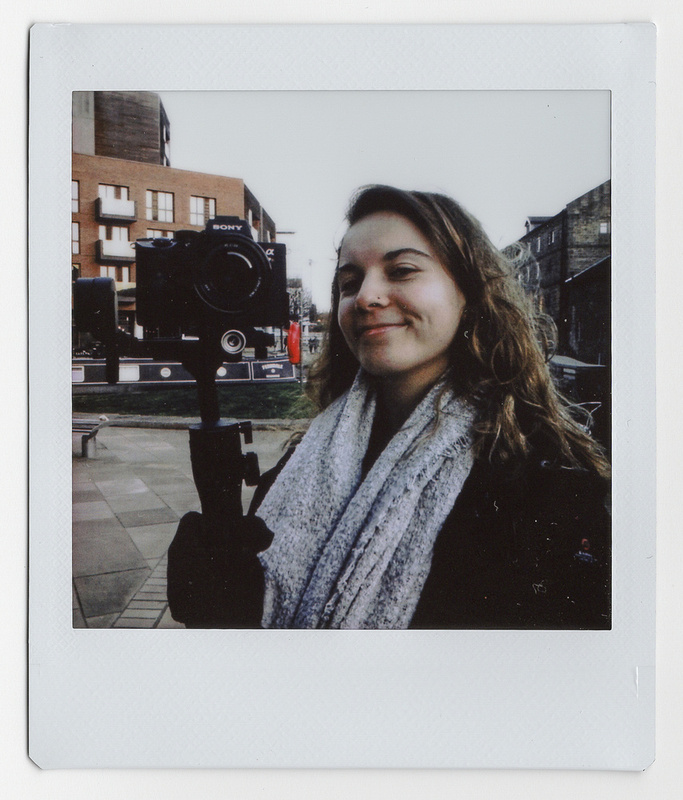 You can purchase your Instax SQ20 using the link here. The wait for a square version of the Mini 90 continues... Oh well, I guess that just means more time to wait for the square film prices to fall a bit more. I found one while cleaning out the garage. It sold for $70 on ebay. I put it towards the SP-3.